Wine is getting cheaper, and that's a good thing. If you like wine, read on. The price of wine is falling, thanks to a growing glut of the beloved beverage, according to worldwide experts. Pinot Noir that once fetched up to $60 a bottle is now going for just $19, and prices may keep dropping. Robert Smiley, director of wine industry studies at the University of California, said its an industrywide phenomenon. "The spot market (for wine grapes) is basically dead," he said. "The wineries will be cutting back their production. And it's not just in the U.S. I just returned from Munich and there is a worldwide wine glut." Danny Brager, vice president of beverage alcohol at The Nielsen Company, said, "When we last looked at wine at price points north of $20, we saw declines at each of them." Marcelo Papa one of the four chief winemakers for Chile's Concha y Toro, said bargains abound. 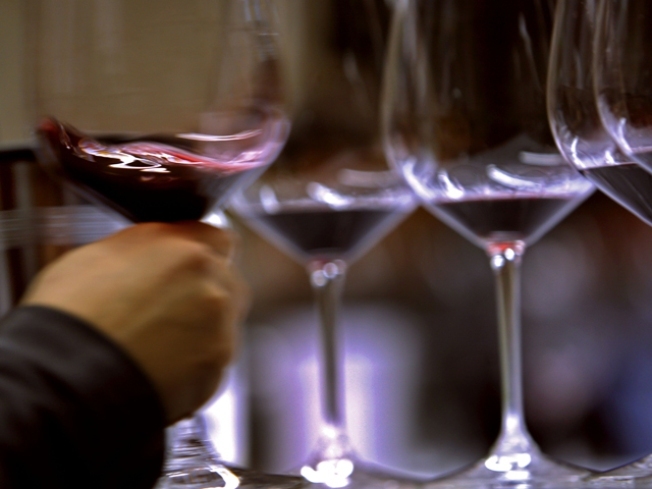 "Compared to 20 or 30 years ago, wines under $20 or $15 are of much better quality today. They're just better made wines." he said.